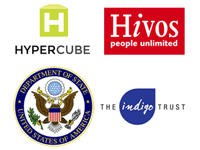 Indigo Trust, a UK based grant making foundation, announced today that they, the US government and Hivos, have granted at least $280,000 to Hypercube, an organisation we wrote about here last month. The money is for the organisation to establish a technology hub in Harare. The hub, according to the announcement, will support tech entrepreneurs working on both commercial and social projects. 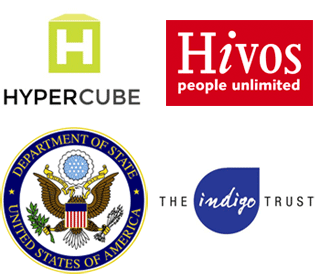 Indigo Trust is contributing £30,000, Hivos €40,000 annually for 3 years, and the US government – through a State Department Fund for Innovation in Public Diplomacy administered by the US Embassy in Harare – is contributing $75,000. The total amount, converted using the current rate, comes up to about US $280,000. The post says the grant was awarded to Hypercube following an assessment of 6 proposals by organisations (and individuals maybe) looking to implement a hub locally. The Indigo post also says this is the thirteenth hub they have supported in Africa. According to the Indigo website they fund technology-driven projects to bring about social change, largely in African countries with focus mainly on innovation, transparency and citizen empowerment. Disclosure: I was partly involved in the very early stages of consultations to establish this hub and posted about the experience on my personal blog here. Well done Hypercube. NUSt Techno Park has been making all sorts of promises over the last 10 years. Its nice to have a hub that is transparent and generates confidance by discussing the level of funding availed. Wishing you guys the best and will try to support your venture as best as I can (even if its just spreading the word). Also nice one Tech Zim for keeping us informed. This ic best news for 2013! Great news. I just hope that they will focus on “for-profit” startups! Excellent point. I hope this is what Hypercube intends to do.